BnF Videos, Commericals, Skits, Movies and more! The magical podcast God makes Beautiful Things is in the can, so be on the look out for that, babies. Also, if you are in the Knoxville area, check me out as I land the Mothership on top of 103.9 FM between the legal spaceship parking hours of 1-3, as I funktify Christopher and the rest of the Mid-Day Show crew as I preach funk, love, and libertarian politics. 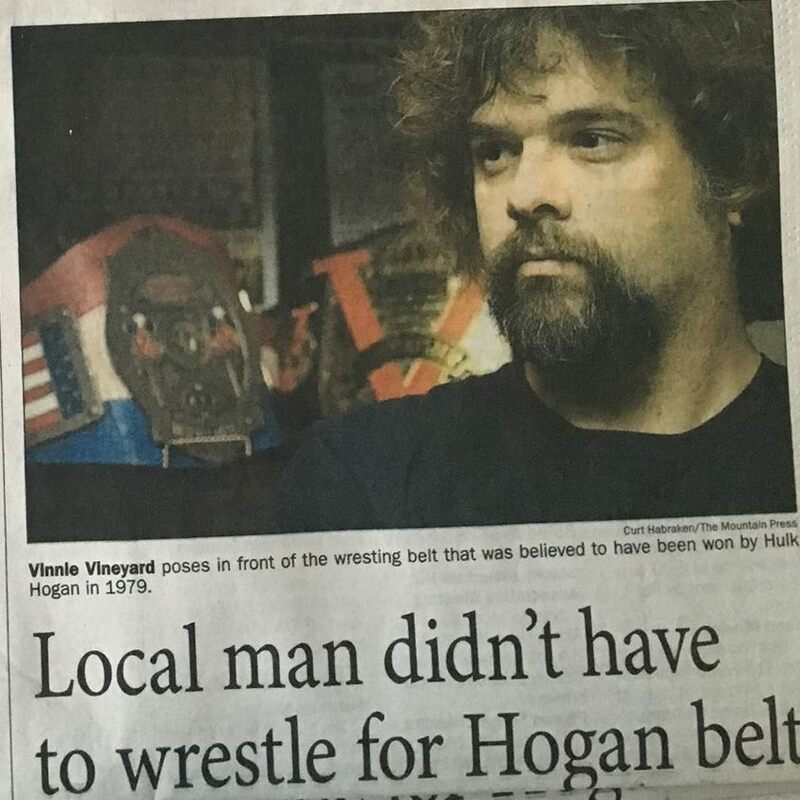 Looks like my story about accidentally obtaining the lost Hulk Hogan championship is making a little press. 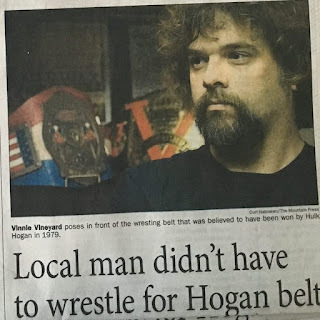 You can see the story online if you check out www.themountainpress.com, or... drive yo azz to Sevier County Tennessee and buy one! Well... that episode of "God Makes Beautiful Things" was pretty damn powerful. Not a lot of jokes... but you get two white guys talking about this impending race war, and then a BUNCH of harrowing cop stories. If I could give this episode a radio emmy, I would. But Luke will have to settle for a trophy full of Steak-Ums because there are no such things as radio-Emmys. An hour you will not forget. God Makes Beautiful Things - What Makes Cops Tick? Nov. 2016 - "Porcupine PAC for Gary Johnson Promo"
How Funkmaster V Stole Hulk Hogan's Missing Championship Belt.